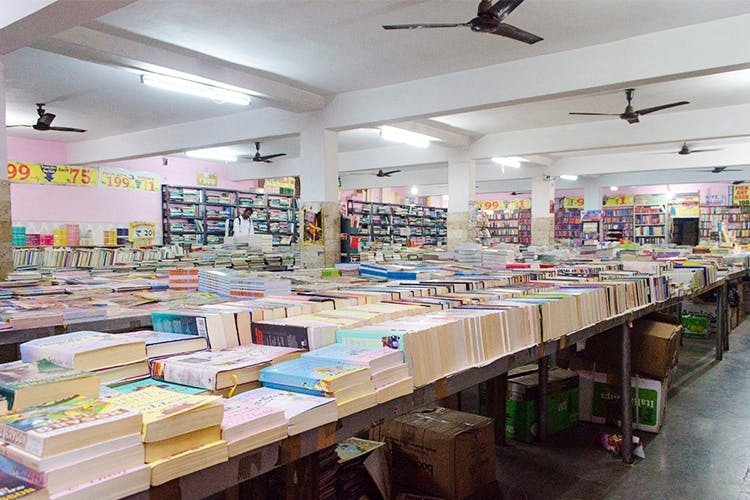 If you are in Koramangala and looking to feed your bookish soul, then you need to head to Book Fair. The non-descript store stocks up on old, used, and new books for as low as INR 10. It's a treasure trove for finding books of all genres and ages in either used or pristine condition. Pick from fiction to physics and non-fiction to self-help books and while you are browsing through the collection, you will find even the most obscure books amongst it -- think books on horse care and animal husbandry. We spotted gems like A Brief History Of Time, The Illiad, Ripley's Believe it Or Not and Inheritance selling for a mere INR 100. Oh yes guys, the prices here start at as low as INR 10, and these are for those 50-page easy cookbooks. If you search real hard under piles and racks, you will find treasures like we did -- a first edition hardcover copy of Life of Pi and a biography of beat poet Allen Ginsberg. We spotted atleast seven different editions of classics like Bram Stoker’s Dracula, RK Narayan’sThe Guide, and Roal Dahl’s The BFG. If you are a comic book geek, then there's everything from Phantom to Commando and Superman. Not quite collector's editions, but still worth having in your bookshelf. We usually pop in from time to time to see what books they have in store and especially to check out the food & drinks sections because we like digging up recipe books that we have never read such as Jamie Oliver’s Happy Days with the Naked Chef or heard about 1001 Konkan Cuisines or101 Potato Recipes. You will also find books on cheese pairing, Morrocan dishes, and cocktails. The choices are limitless! The place is quite dusty, so be sure to carry a handkerchief if you are allergic to dust. They accept cards and it’s good if you carry a bag with you as they don’t usually stock up on those.